Field production can be tough: managing shoots, carrying heavy equipment, getting covered in thick spider webs. Uhm, what? Yeah, I think I’ll stay in my edit suite. 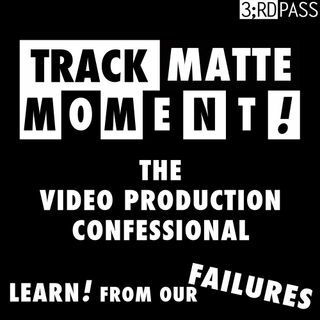 In this very educational Track Matte Moment, Tim Wilson tells the tale of a very eventful day spent in the Everglades in the 90s when he was still running a production company in the Florida Keys. Before BorisFX, Avid and his current role at Creative COW.net, Tim produced a number of television shows, including a magazine-style ... Maggiori informazioni nature show that occasionally brought him a lot closer to his subjects than he may have anticipated. A Track Matte Moment everyone should hear - inspiration, advice, and terror. Tim Wilson is Vice-President and Editor-in-Chief at CreativeCOW.net. You can read his COW blog and article or follow him on Twitter, but you should definitely check out his tumblr. This podcast comes with some additional readings, images, and notes from Tim. This truly is your lucky day. "Spiders Seek Balance of Work and (Fore)Play"
For a scholarly discussion of our social spider friends and their potential implications for evolutionary biology, check out “Behavioural syndromes and their ﬁtness consequences in a socially polymorphic spider, Anelosimus studiosus,” by Jonathan Pruitt, Susan E. Reichert and Thomas Jones. A clip tent spider colony from Monster Bug Wars. You know you want to click that.